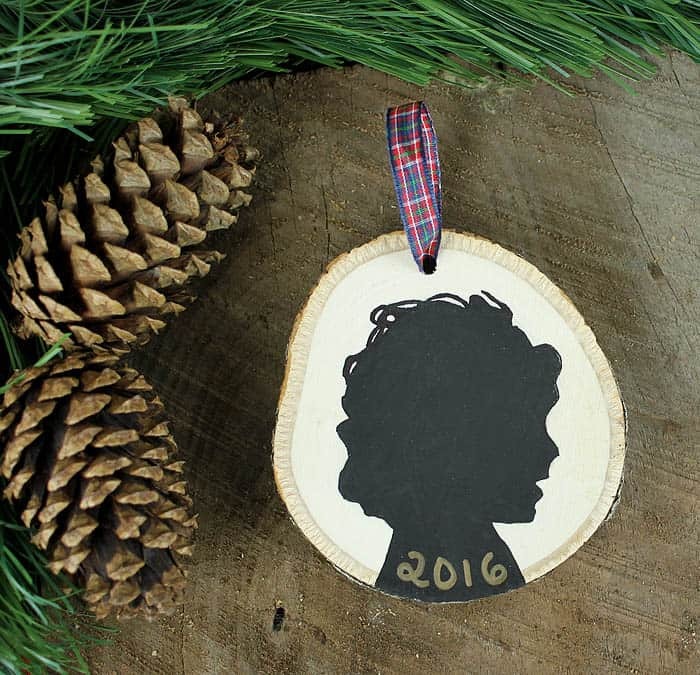 I love making Christmas ornaments so I wanted to start a new Christmas ornament tradition for Indigo. 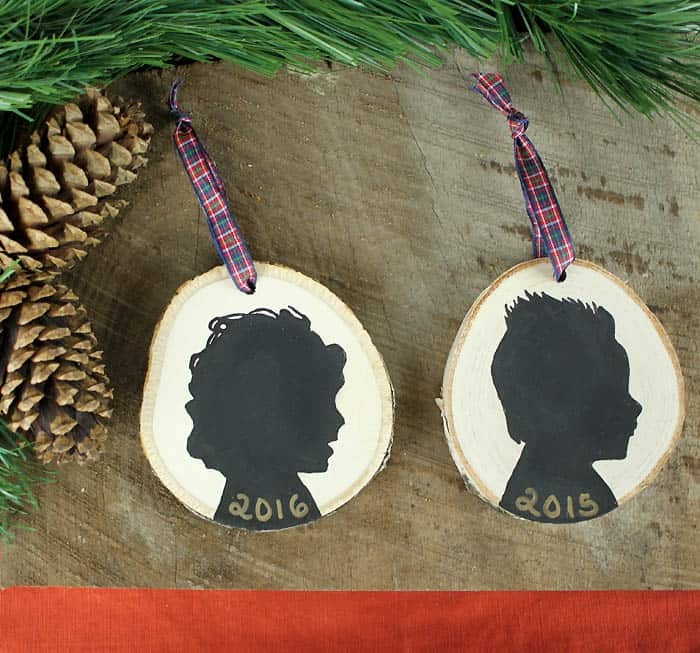 I already made some photo ornaments, but I wanted a theme that I could make every year, then the idea hit- silhouettes!!! 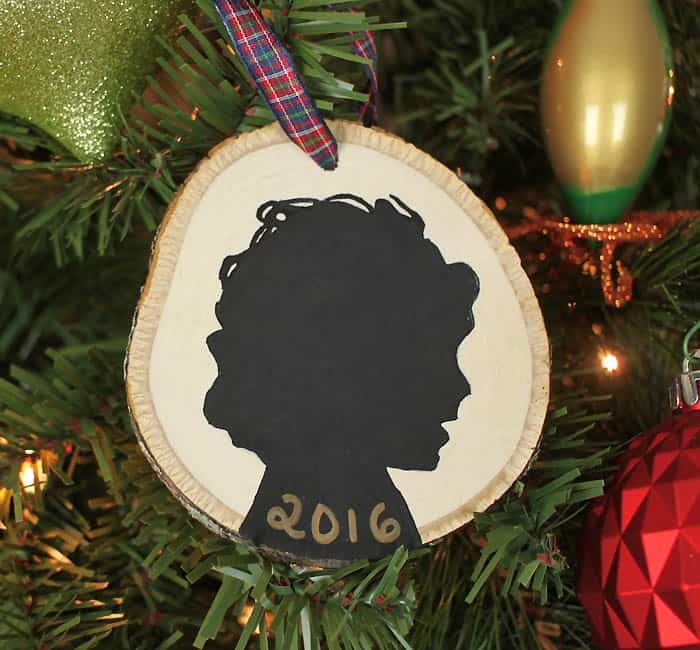 This is Indigo’s second Christmas, but luckily I already had his silhouette from last year’s for this DIY project. 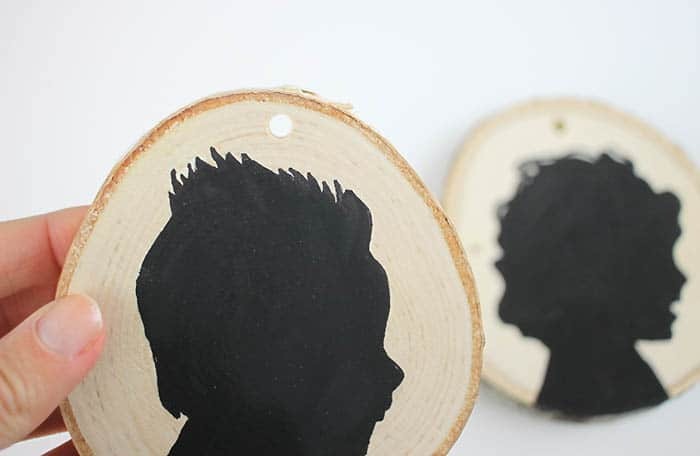 These DIY silhouette Christmas ornaments are really easy to make and best of all, no artistic skill is required. It only looks like it! 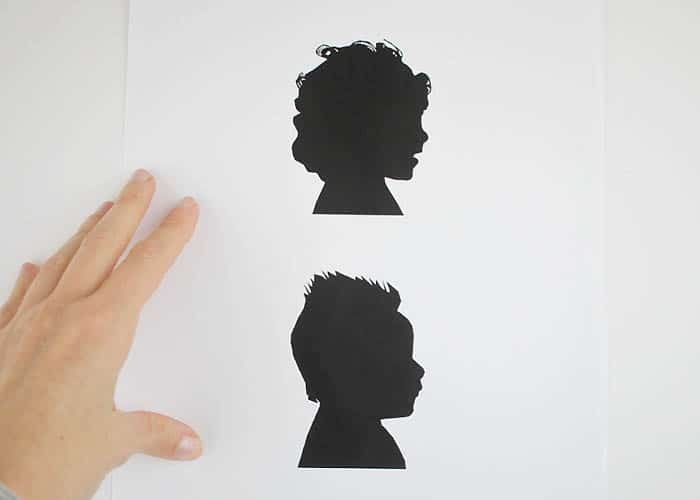 Take a picture of your subject against a plain background (a wall is great) Turn it into a silhouette using this technique. 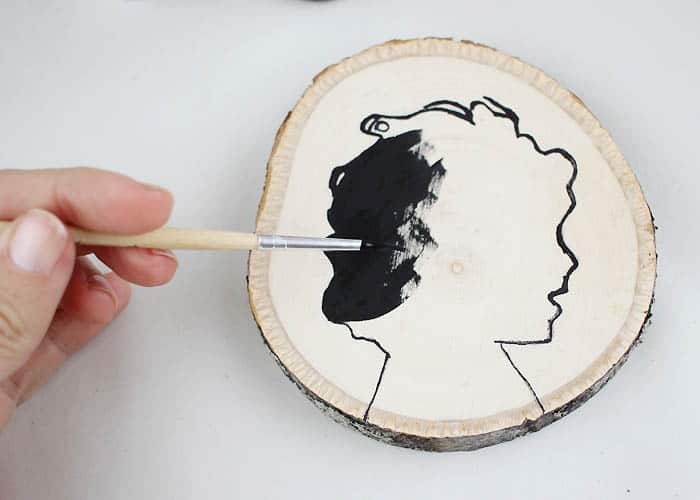 Cut out the silhouette. 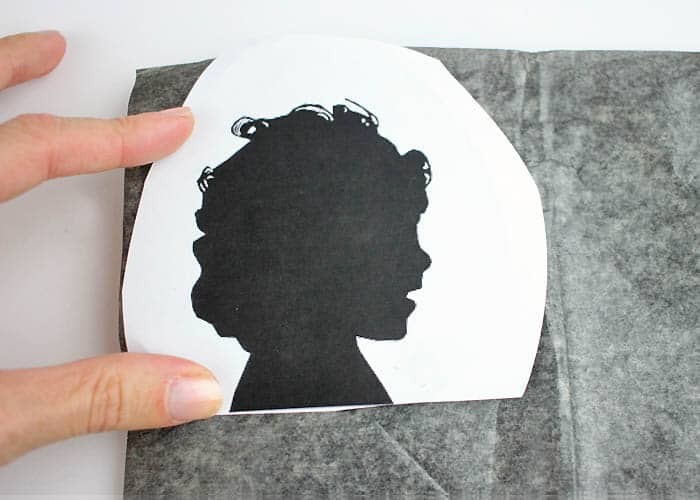 Once you lift the paper, your silhouette will be transferred to the wood. Awesome, right? 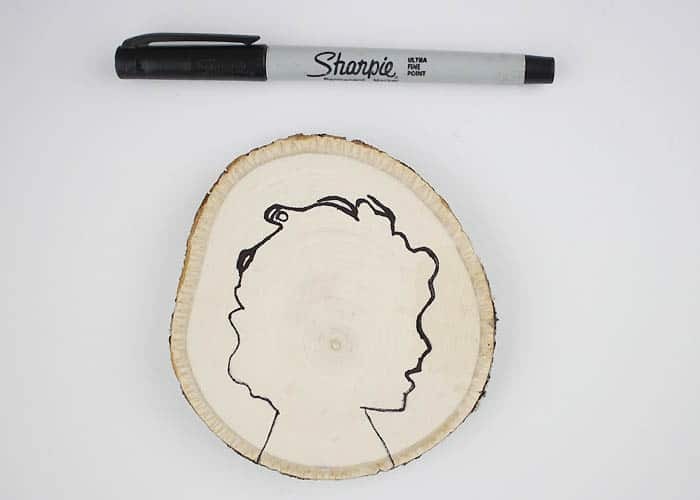 Next, trace around the image with the Sharpie. 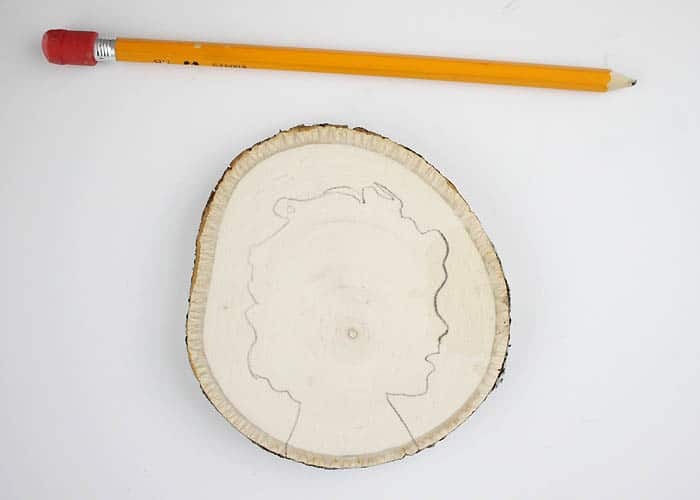 This is much easier than trying to paint all those fine lines!